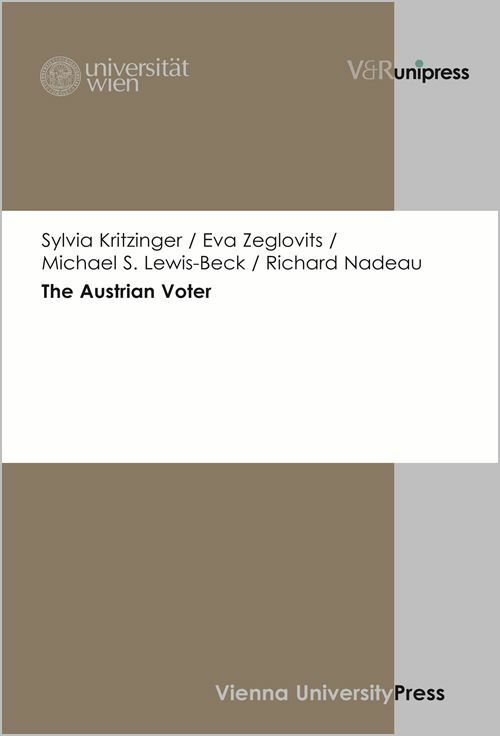 We are please to continue our series of Election Reports with the following pre-election report on the September 29, 2013 Austrian parliamentary elections by political scientists Sylvia Kritzinger, Michael Lewis-Beck, and Eva Zeglovits, three of the authors of The Austrian Voter. On September 29, Austrian citizens will vote in the National Council elections. It is their first such vote since the extension of the legislative period from four to five years. Further, the two government parties, SPÖ and ÖVP, have not had to fight any regional or local elections for over two years. Though such a honeymoon period is rather unique, the government failed to make decisions over necessary reforms resulting in a standstill in most policy areas (pensions, higher education, the health system, etc.). Most importantly, new parties have entered the political scene, confronting the two ‘old’ mainstream parties with decreasing electoral support. Austria has been known for its relative stability, with the Social Democratic Party (SPÖ) and the conservative People’s Party (ÖVP) holding together more than 90% of the votes for decades. Hence, current developments make this election particularly interesting. First, since 1986, the Greens and the radical right (FPÖ) have offered serious challenges to this duopoly. And the 2013 campaign remains particularly special, with more parties than ever poised to play a role in the distribution of the 183 National Council seats. Most prominently, Austro-Canadian billionaire Frank Stronach and his newly founded party Team Stronach are running, and the Austrian National Elections Study (AUTNES) survey foresees that his party will obtain seats. Moreover, Team Stronach poses trouble for the Alliance for the Future of Austria (BZÖ) – a splinter party off the FPÖ, with popular Jörg Haider chairing it until his death in 2008. Stronach convinced some former BZÖ MPs to desert the BZÖ and form a parliamentary club for the Team Stronach. In all, these days there are six parties represented in the National Council, an all time high in Austrian politics. Team Stronach also challenges the other radical right party in the Austrian National Council: the FPÖ. Team Stronach competes along similar electoral lines as the FPÖ: it is skeptical towards the European integration process, demands to leave the euro, and denounces the Austrian political system and its political class. In the past, the FPÖ ‘owned’ all these issues. Unlike the FPÖ though, Team Stronach does not tackle the issue of immigration, which was a major FPÖ issue in the last electoral campaign. Finally, a new liberal party – the NEOS – also tries to capture the support from the center-right Austrian citizens. Unlike Team Stronach, however, it is far from certain whether the NEOS will pass the threshold of 4 per cent to gain a seat in the National Council. All in all, in this year’s election there is fierce competition on the right-hand side of the ideological political spectrum: 5 serious competitors are fighting for votes. The left-hand side of the ideological spectrum is emptier: only the Social Democrats and the Greens are serious contenders here. In addition, the increased party fragmentation makes it more difficult to predict the next government coalition. In Austria seats are assigned to parties via proportional formulae, making it very unlikely that a single-party government can be formed. Indeed, since the end of World War II, grand-coalitions have been the norm in Austria, with the exceptions of the periods 1966-1986 and 2000-2006. This Austrian ‘tradition’ allowed the two main ideological Lagers in the Austrian electorate to be reconciled in one government: one Lager having a left-oriented mentality and the second Lager being characterized by an orientation towards the right. This year these predictions are more difficult to make. Though most citizens expect a grand-coalition between SPÖ and ÖVP to continue its work after the election on September 29, it is also possible there will be a three-party coalition between SPÖ-ÖVP and the Greens – of course, that could only occur if the two “big” parties will not obtain more than 50 per cent of the seats. Why are these outcomes more likely? Answers come from an examination of the political behavior of individual Austrian voters. In our recent book “The Austrian Voter”, we show that Austrian voters exhibit considerable stability – particularly, amongst citizens voting for the SPÖ and ÖVP. Here, the two old cleavages – ‘religion’ and ‘social class’ – explain to a large extent their voting behavior. Religious Christian attitudes are important indicators for the ÖVP vote, while SPÖ voters can be characterized by their trade union membership and other social class indicators. Moreover, positions over economic issues still determine SPÖ and ÖVP vote choices to a considerable degree. Thus, the old cleavages are still active for the two mainstream parties. The explanatory factors, however, do differ for the two non-established parties, the Greens and the FPÖ. Here education is a major driving force, with highly educated citizens more likely voting for the Greens, and those with a lower education representing the stronghold of the FPÖ. Moreover, unlike for the two mainstream parties, cultural issues such as immigration and Europe (and for the Greens also environment) are very important indicators for their electoral success. The federal election on September 29 will show if these finding holds true for this contest as well.